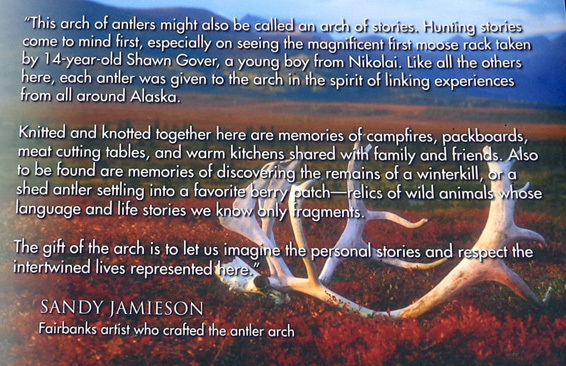 & VISITORS CENTER: BECAUSE IT'S SPECIAL! 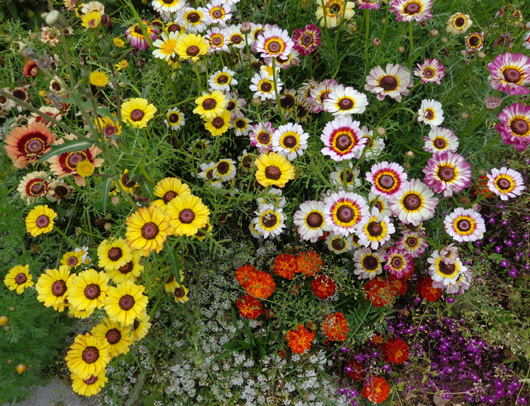 qualities of light, energy, and warmth found nowhere else on earth." 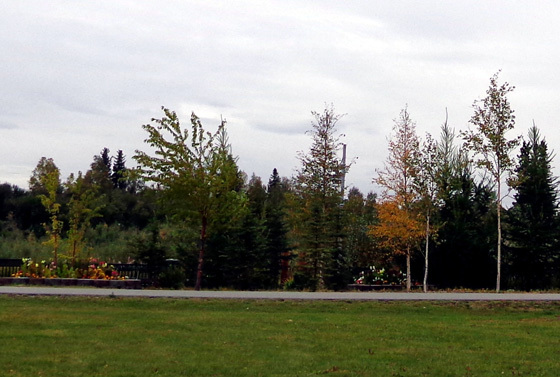 After we got settled into the campground at Fort Wainwright on Monday afternoon Jim went for a bike ride around the post and I drove a few miles to the Morris Thompson Cultural and Visitors Center on the banks of the Chena River downtown to help winnow our list of potential things to do and see in Fairbanks. 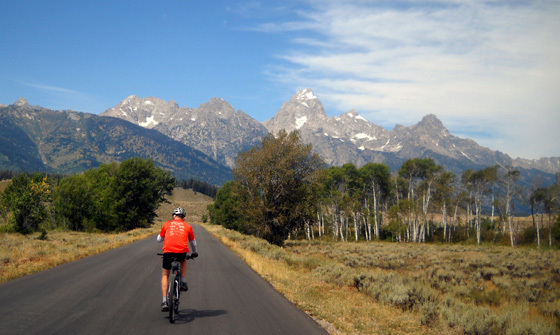 We have just 2� days here and we want to make the most of them. 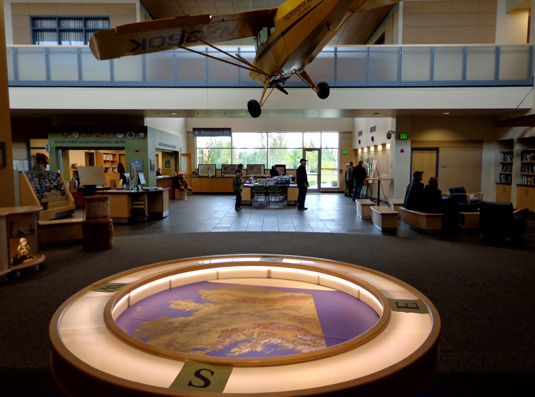 Jim and I have been to a lot of visitors centers in the many years we've been traveling. 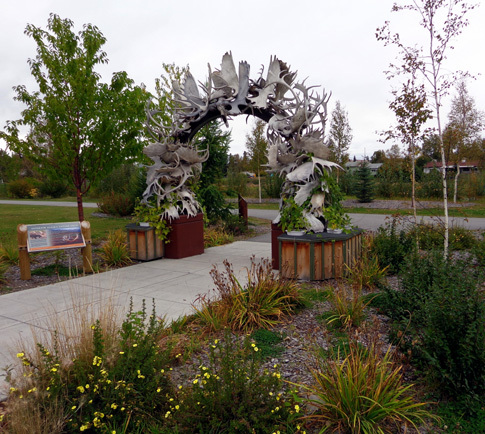 When we visit a new park, city, or region one of our first stops is usually the local visitors' center. It doesn't matter how much research we've already done online. 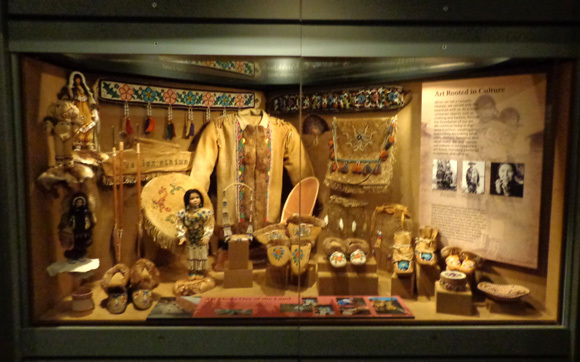 We often learn so much more inside these treasure troves of information from the colorful descriptive brochures of things to see and do, interesting exhibits, free films, and friendly, knowledgeable staff that can answer just about any question we pose. 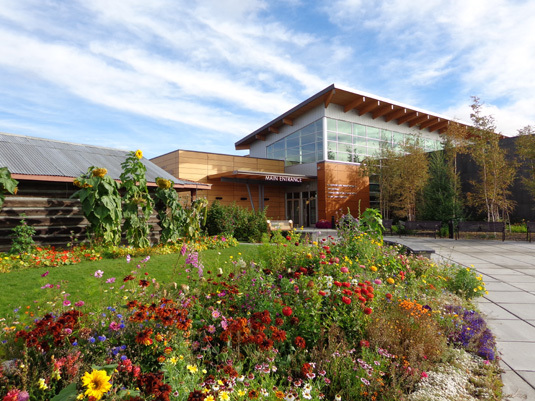 Of course, some visitor centers are better than others. 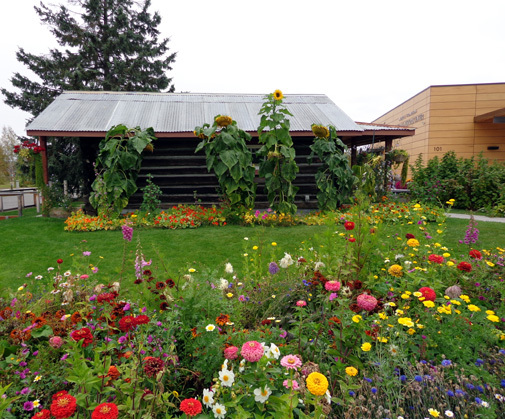 Fairbanks has one of the best anywhere we've traveled. It exceeded all my expectations. I could easily spend one or two days at the Thompson Center because it offers visitors so much and is presented so well. This trip I limited myself to about an hour on Monday and another hour on Tuesday when I took Jim to see it, too. 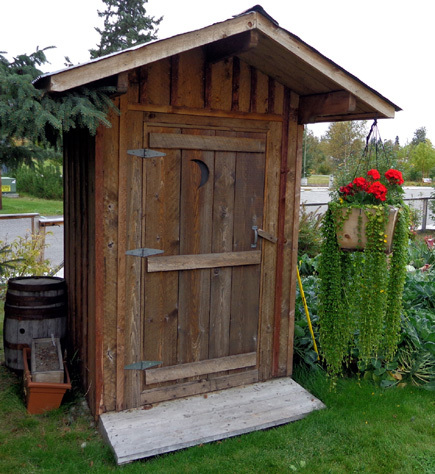 I will definitely spend more time here on our next trip to Fairbanks. 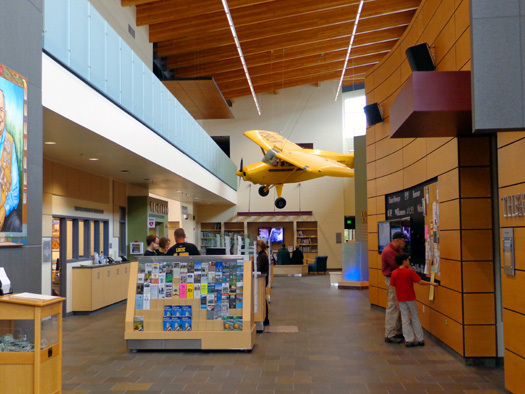 The regional visitor center run by the Fairbanks Convention and Visitors Bureau is one of several organizations and features we found inside the handsome Morris Thompson Cultural & Visitors Center. 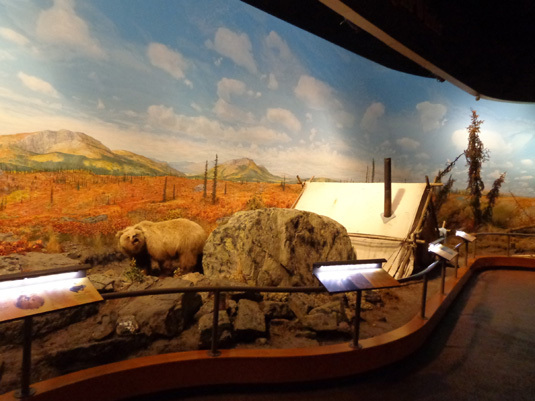 It also houses one of several Alaska Public Lands Information Centers (we love those), an Alaska Geographic bookstore (we love those, too), and a very large exhibit hall featuring museum-quality interpretive displays and dioramas showcasing Interior Alaska's people, landscapes, and seasons. 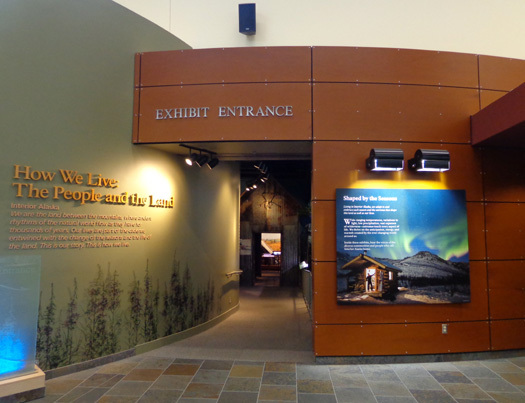 One of the displays entitled "Living With the Land"
In addition to lots of printed and verbal information about local and regional sights and activities, there are also several free films shown daily, programs on Alaska's natural and cultural history, cultural performances and demonstrations, artisans' workshops, an Elders' gathering area, free WiFi, and other amenities. 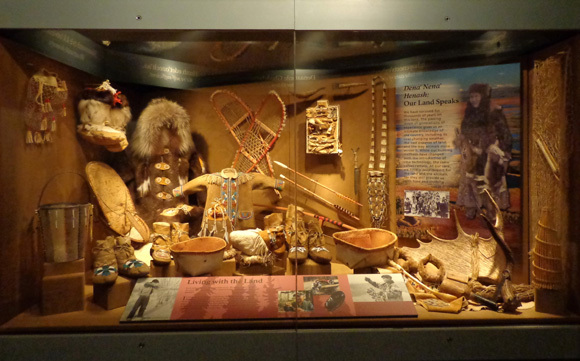 The Alaska Public Lands Information Center has information about Alaska's state parks, national parks, national forests, wildlife refuges, and other outdoor recreational sites. 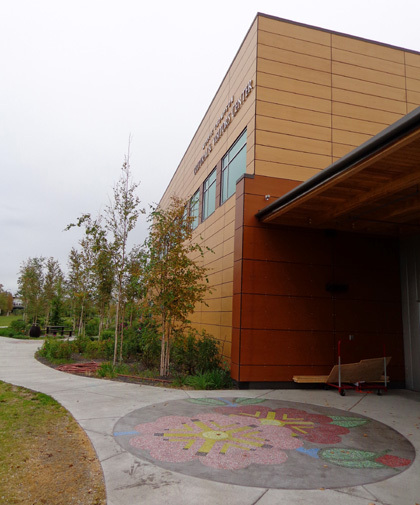 This is the third APLIC we've visited in Alaska; the others were in Tok and Anchorage. 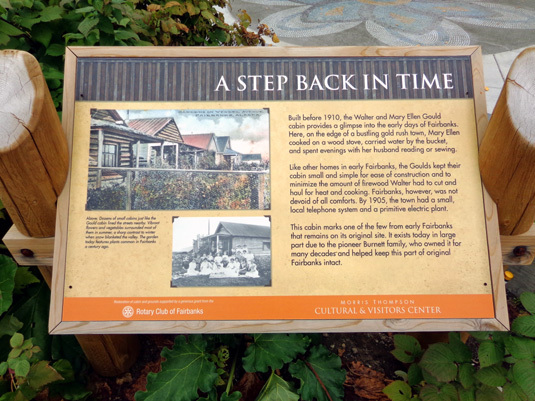 The fourth site is in Ketchikan, but we won't be going there. 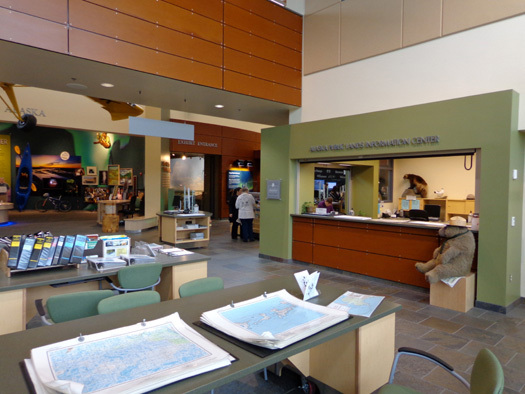 Like the visitor center, APLIC offers maps and brochures, free videos/films, interpretive programs, exhibits and artifacts, and other information to help visitors plan their trips to Alaska's vast public lands. 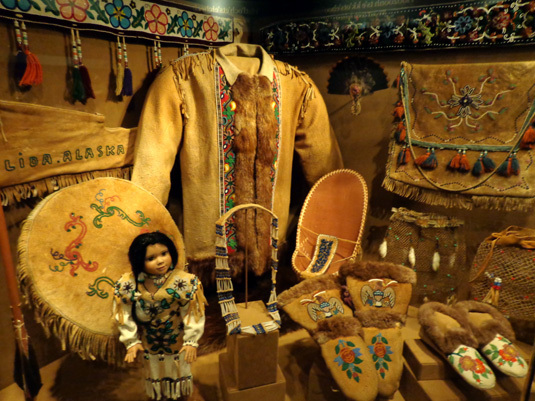 The exhibit area reminded me of a smaller version of the Anchorage Museum. 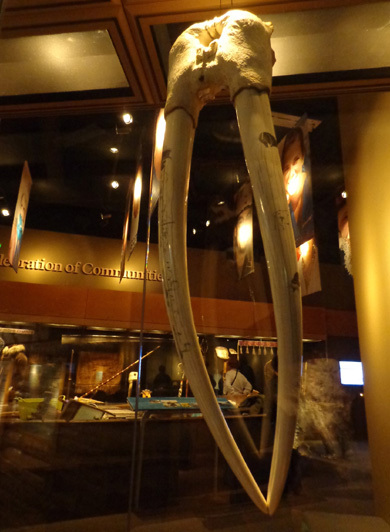 I wasn't expecting such quantity or quality of cultural exhibits at this location -- and free to the public. 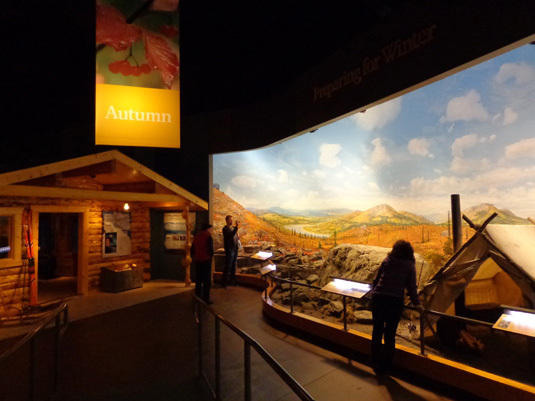 The first large exhibits describe how Alaskans have embraced the seasons and adapted to the challenges of each. 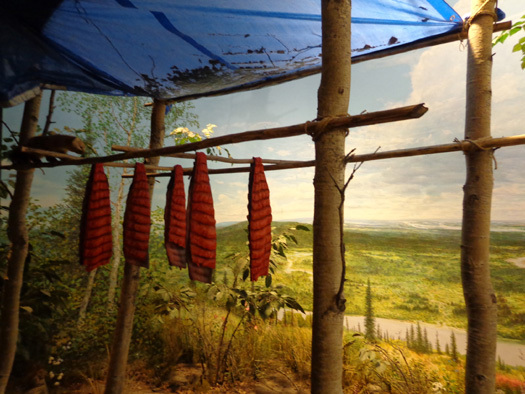 There is a lot of material to read if you have the time, but you can get the gist of life in Interior Alaska by just scanning the interpretive panels, pictures, and dioramas. 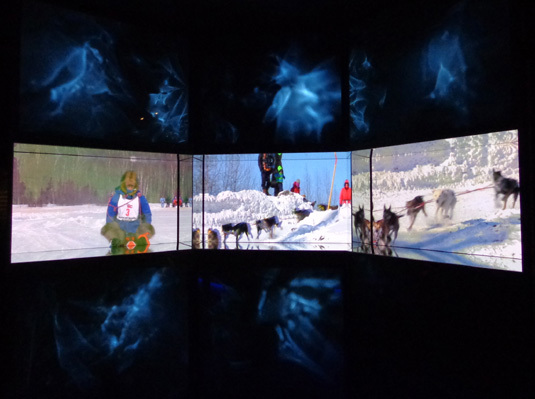 I especially enjoyed the three-screen videos of winter activities that played in a darkened corner. The whole show lasts about 10 minutes and it plays continuously so you can come in at any time and just keep watching until it repeats itself. 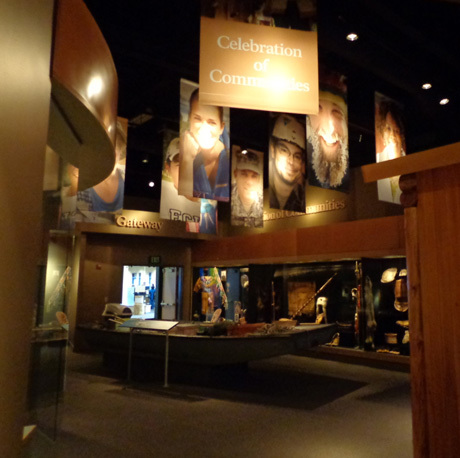 I also enjoyed the exhibits showcasing Native Alaskan art, clothing, and tools in the Celebration of Communities section. 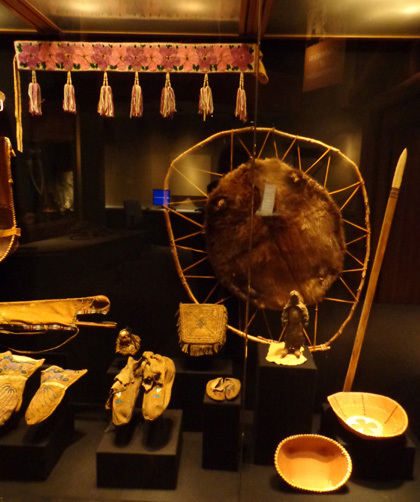 These displays are similar to the beautiful objects I saw at the Anchorage Museum. 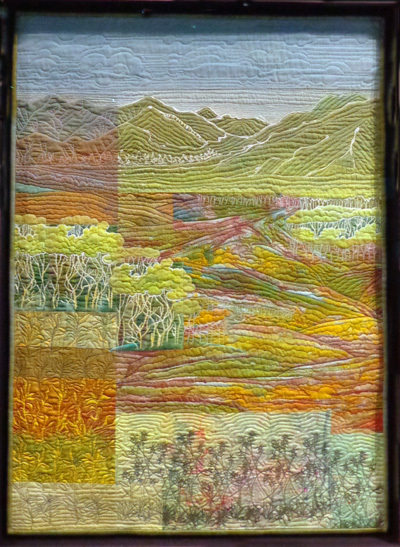 quilt at the Eielson Visitor Center at Denali National Park. 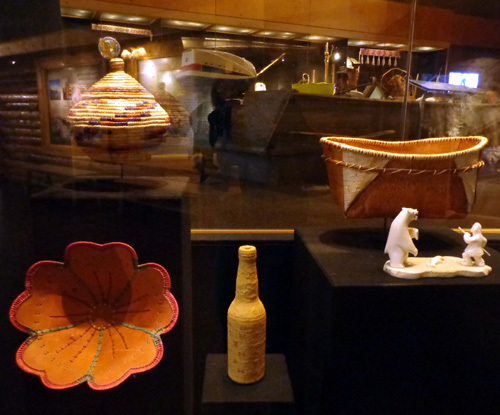 There are many more beautiful exhibits. 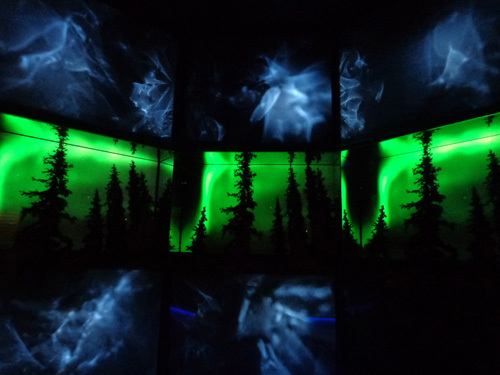 If you're in Fairbanks you gotta go see them. Remember, this place is FREE. 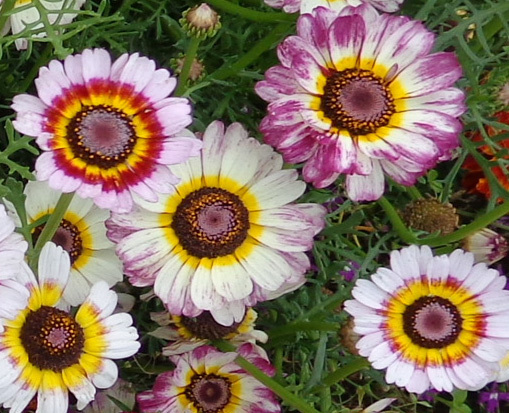 AND MORE TO SEE OUTDOORS . . . 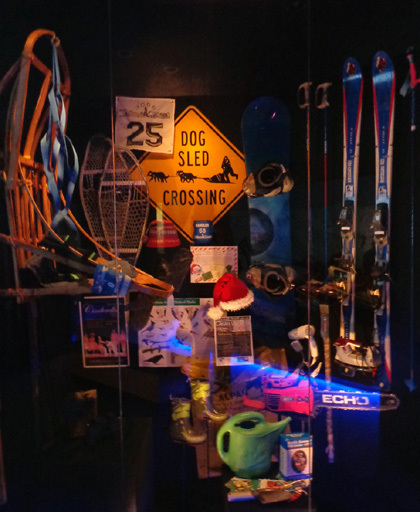 The Thompson Center has plenty to offer outside, too. 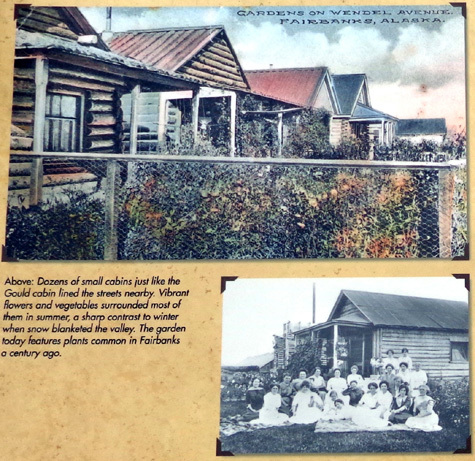 I l loved walking around the front, sides, and back of the building to admire the landscaping, courtyards, mosaic tiles in the walkways, and the historic homestead cabin on the grounds. 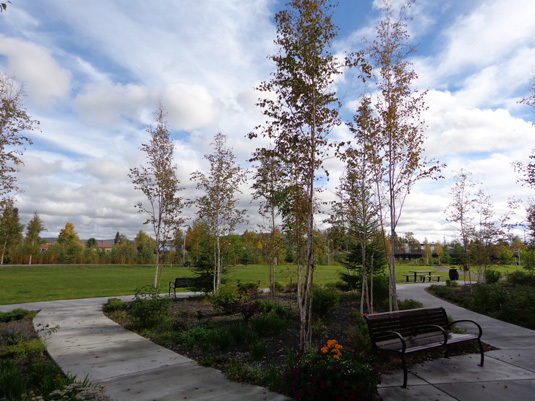 The photos I took on Tuesday when it was partly sunny are much nicer than the ones I took on Monday when it was overcast -- but the reflective glass-walled building and colorfully landscaped grounds are beautiful any time. 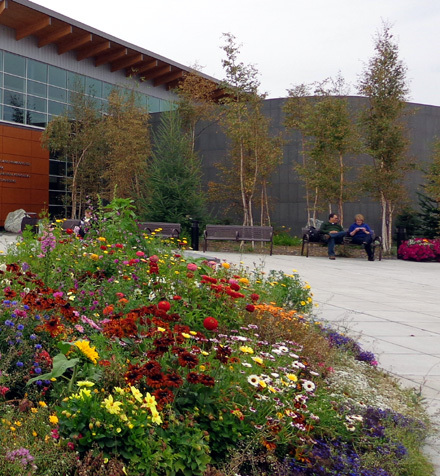 A couple rests on a bench outside the main entrance. 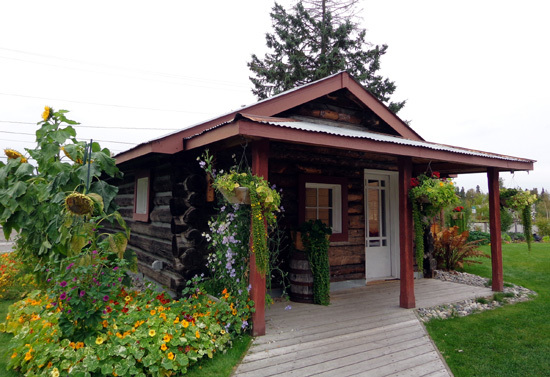 Left of the main entryway to the Thompson Center is the Gould Cabin, shown below, one of the few cabins from the early days of Fairbanks that remains on its original site. No running water or electricity back then . 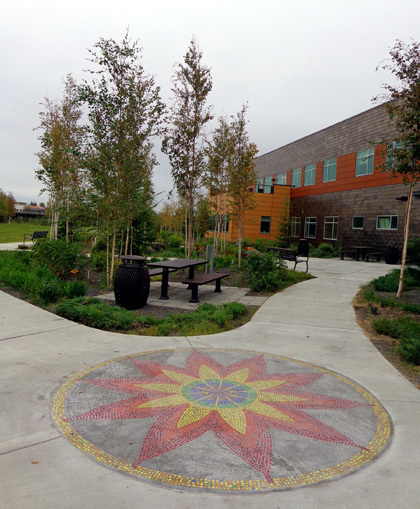 . .
A second tile mosaic in the rear of the building; there is a third one just outside the main entrance. 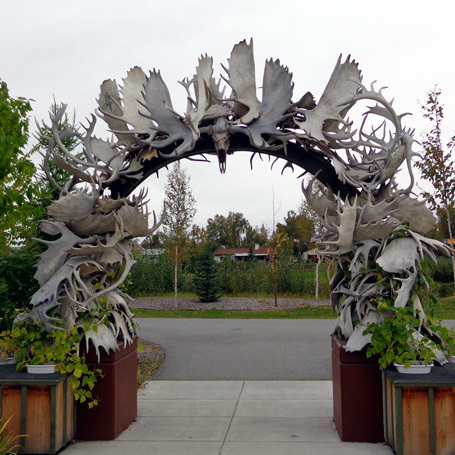 If you go to this link you can see an antler webcam which runs all year long. It'll be interesting to see it in the winter!